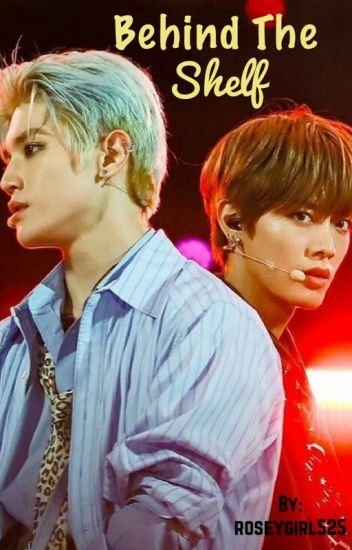 When the secret rapper TY joins Majory Arts Highschool it takes him some getting used to Yuta the 'king' of the school along with his new friend group. Then one small mistake leads to uncovered secrets and drama. Two hidden identities are forced to clash for better or for worse in more ways than one. It's funny how one glance can get you addicted. Yuta is a loner with a bad past and Taeyong is a spoilt social butterfly. 𝔶𝔬𝔲 𝔥𝔞𝔳𝔢 𝔰𝔬 𝔪𝔲𝔠𝔥 𝔱𝔬 𝔩𝔢𝔞𝔯𝔫." taeyong meets his childhood bestfriend, yuta, again after two years. "dude, you reek of an alpha!" "i just borrowed some idiot's shirt." Taeyong was a junior when he fell for his best friend, a transfer student from Japan named Yuta. When Yuta rejects him before returning to Japan, Taeyong swears he never wants to hear of Nakamoto Yuta again in his life. But as Taeyong prepares to debut years later with NCT U, a new member is added to his other unit, NCT 127. And that member is none other than Yuta. Lee Taeyong and Nakamoto Yuta are roommates. That's all. Really. Until someone stirs up some drama from the past that puts them both in the wrong place at the right time. Will they survive? And if they do, will they finally become more than friends? until new punk kid, lee taeyong, enters his world and turns it completely upside down. They are very cute together so I'm going to make small book about them. yuta has been denying his sexuality for quite some time now. when he volunteers to run the kissing booth at his school's annual carnival, he finds that he's pretty okay with being gay. Your typical group chat fic but NCT version. Expect the unexpected ,not really. The flower petals, slowly filling his lungs and blooming in his throat were choking him. Tears finally streamed down his cheeks indicating that he couldn't bear the pain. Youngho had suggested him to undergo the surgery. But the only thing running inside his mind was that the pain was worth it, Yuta was worth it.